Got a great idea for a new product? Or a suggestion on how we can improve a current product? 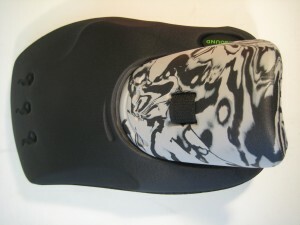 We have an idea to improve the ROBO left hand protector but need your help. A few of you suggested the LHP is more secure on the wrist if the elastic sits closer to the wrist and is strapped like this …. Have any of you tried this approach, and if so do you think its better ? Even if you haven’t tried it you may care to do so and give us your opinion. We listen. Author adminPosted on June 26, 2012 June 25, 2012 Categories Product IdeasTags robo hand protector17 Comments on We need your advice! OBO is all about constant learning and making your life in the goal even better. The bruise competition enabled us to see where people are still vulnerable (though many of you who submitted your shocking technicoloured photos did note that the bruise was not incurred while wearing OBO) and we have acted on this info quickly. We were in the final stages of developing a new pair of goalie pants designed to offer more protection, durability and ease of use compared to the existing ROBO HOT PANTS. While there was already quite good protection in the inner leg, based on the bruise photos we have decided we need to further beef up the protection in this most vulnerable area. Have a look at the photo below. We’ve chalked an outline and hashed an area where your bruise photos suggest we should add more protection. Do you agree? Would you add more protection here? We’d love to hear your thoughts in the comments below. We are now researching the right material for this area… possibly impact reaction fabric, impact gels, or more good old closed cell foam. Your pain enabled us to make a gain … thanks heaps ! Keep the photos coming … they are helping us design better products, and remember there is a set of ROBO legguards and kickers up for grabs for the most “liked” photo. The competition closes in a couple of weeks. Cheers. Simon and the OBO team in New Zealand. 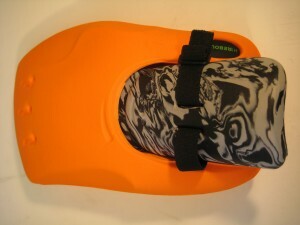 I’m trying to develop field hockey shoes for goalkeepers with strap ridges cut out of the grips on the sole of the shoe. 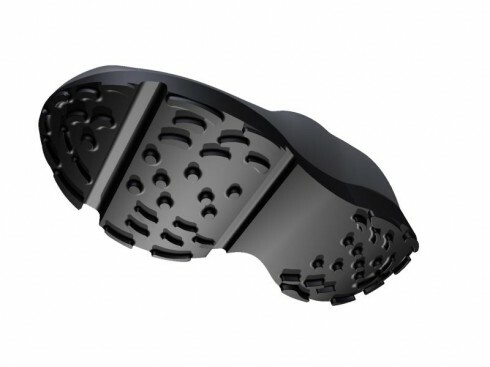 My idea is to develop a waterproof shoe but bulky enough to fill out the kickers nicely and never slip out of the kickers because the straps slot into nice grooves just for them and the goalkeeper also has better surface traction because there is no risk of slipping in the straps. Author mmgk13Posted on April 13, 2011 April 13, 2011 Categories Product IdeasTags shoes, waterproof18 Comments on Hockey shoes! Simon from OBO New Zealand here. We are just staring work on a completely new model of the ROBO Hot Pants. We are very keen to get your input to help make this excellent product totally amazing . To focus the mind can I suggest you make a list of the things you really like about the existing ROBO Hot Pants … and another list of the things you really don’t like or wish to see changed and improved. We will keep you in the loop as we work on this project. Thanks for your help. We really value your ideas, opinions and experiences. Author goalkeepPosted on April 1, 2010 April 1, 2010 Categories Product Ideas24 Comments on please help me ! Some footage of the training products in action from Germany. Here is some footage from Heiko Milz from Magic Goalies in Germany; this was shown on national German TV. 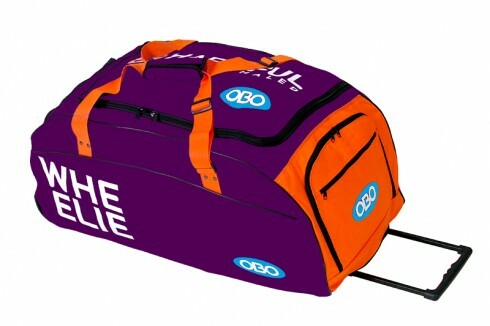 just wondering have you guys at obo ever thought of taking the wheelie bag and instead of having the blue and orange colours and maybe try substituting them for crazy patterns or even the custom painted helmet designs and having them printed all over the kit bag. just a thought as the kit has got crazy designs on maybe the bags could look funky too. any ideas??? go fourth and save that ball!! Hi Obo, I thought of a great idea about a design for your overpants that cover the hotpants. I saw to the Camo gear pics and noticed that there weren’t any camo overpants. I noticed that perhaps wearing the camo smock could look a bit goofy sometimes, why not make a over pants with the Camo design? They’re less noticeable yet at the same time you get an awesome design to wear.